Hey all you Jackie Shapiro French Bull fans out there, do we have something spectacular in store for you!! With the great success of Shadow Flower, Windham Fabrics is energized to give you a sneak preview of something brand new!! Windham Fabrics is excited to present Jackie Shapiro and French Bull’s newest collection Delight and Multidot. These contemporary collections are filled with the perfect blend of bold color and modern design. 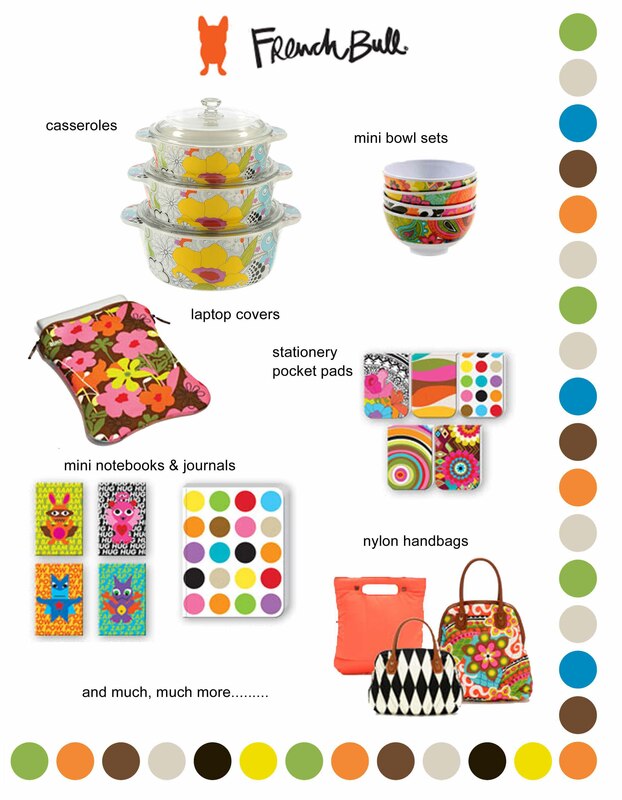 Have fun mixing the fresh patterns and vivid colors Delight and Multidot have to offer and make something extraordinary! For all of you out there that are not familiar with French Bull, here is the back story of how the company got started. 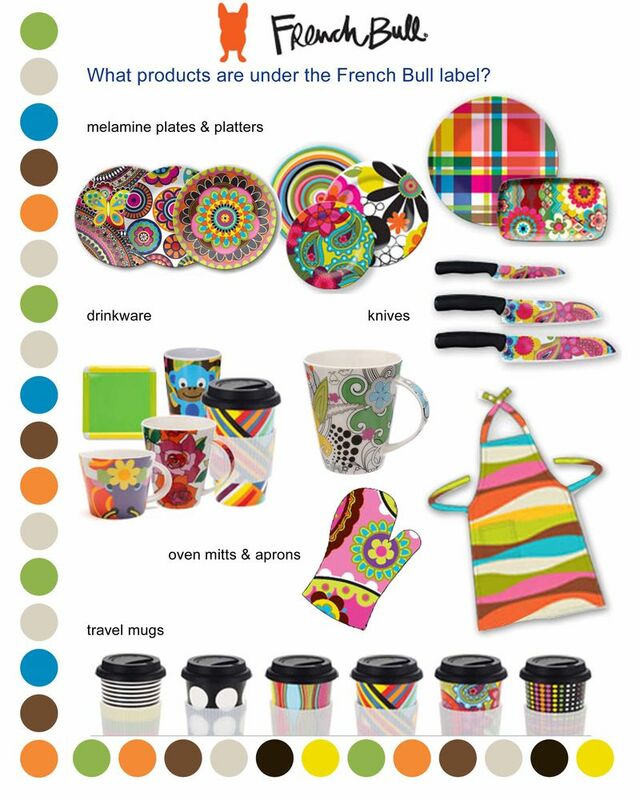 French Bull’s debut in January 2002 marked the return of melamine. The idea of French Bull came about by a desire to create homeware products for design conscious consumer at accessible prices. Though the line began with melamine kitchen products, French Bull is a lifestyle brand whose boundaries have become limitless. French Bull’s mastery of pattern and color has come to life in a wide range of products for the modern lifestyle. Jackie’s products extend anywhere from the kitchen to the bedroom , living room as well as lap top covers, lunch bags, beverage carriers, gift bags, greeting cards, stationery and now high quality cotton fabrics for the home sewer. If you had the fabric what would you make? Tell us how you would mix Delight and Multidot? Well – what lovely brights. I’ve got a scrappy log cabin on my “To Do” list, and I’d add a solid white on the one side of the block with all these cheery brights on the other. Now won’t that look grand. I could see an HST quilt that involves one one of the HST from the Multidot range and the other from the Delight range. I’d love to give that a try. These are stunning! I’ve been wanting to make a swoon quilt and I think these prints would be spectacular in that design. If I didn’t do that I’d most likely make irregular patchwork floor length curtains for our lounge area. Check out McCall’s Quilting May/June 2012 pages 38-41 quilt by Outside The Lines Design — I see the fourth Delight fabric with the black background and multicolor flowers as the strips to simulate the dividers of a modern memo board; the aqua/white as the narrow border; the largest quantity of diamonds will be the multidot, the half diamonds along the outer edge will be the stripe; and the remainder of the fabrics will be interior diamonds. I think the diamonds will showcase the graphic modern design of these fabrics. At first I thought granny squares then changed my mind because the fabric demands larger pieces to “show off”. So many ideas! I love brights and dots, they have to be my favorites. I would use the black floral as a focus fabric and the black and white dot and multidot as secondary fabrics maybe in an alternating 4 patch with the black multistipe weave as one of the borders. 🙂 Love them and cant wait to buy some!